This quilt is based on a photograph taken by a friend, Leigh Wilson. 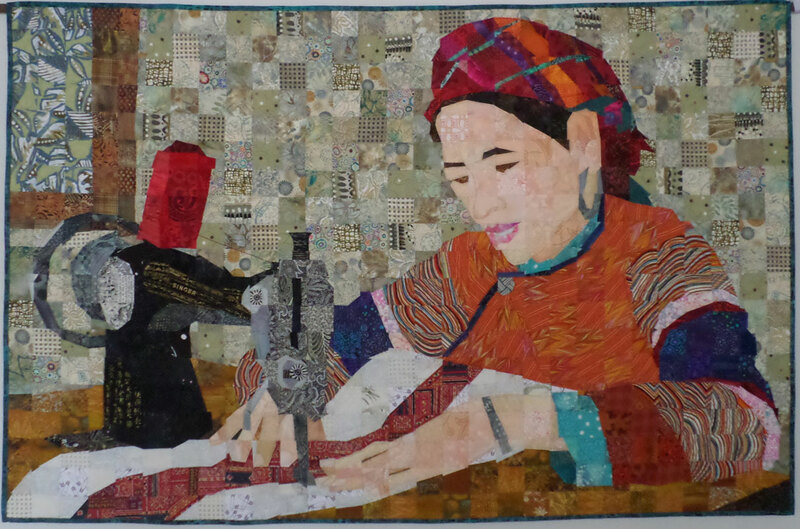 Being a seamstress myself and having lived in Thailand for many years, the photo had a special place in my heart. It was also a chance to use my black and gold SINGER fabric!